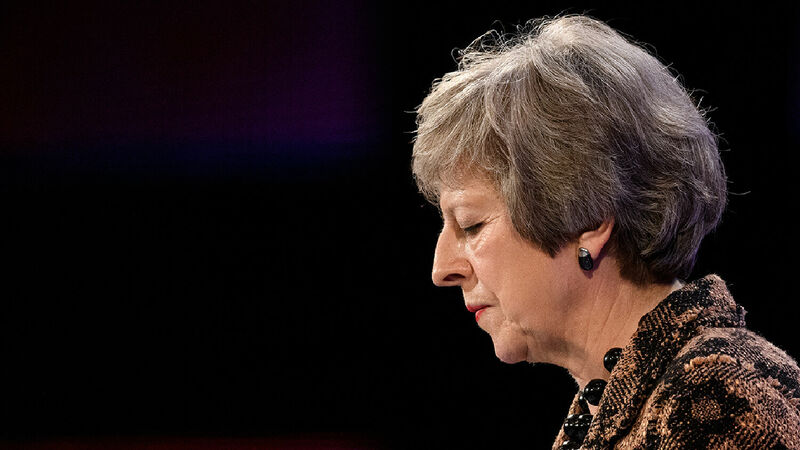 Britain’s government found itself in a spot of bother this week over Brexit. And by “a spot of bother” I mean “on the brink of imminent collapse.” Prime Minister Theresa May has managed to hold on so far. But the reviews of her Brexit deal are in, and they are scathing. “No nation would normally accept such terms unless very small, or bankrupt, or first defeated in war,” wrote the Telegraph’s international business editor Ambrose Evans-Pritchard. This disastrous deal is not just dire for Britain, it’s a glimpse of the imperialistic, aggressive nature that the European Union hides so well—and is about to unleash on more than just the British. So what is it that is so bad about this deal? Britain’s leaving the European Union, right? Well, not according to the new agreement. It states, “All references to Member States and competent authorities of Member States … shall be read as including the United Kingdom.” The UK is to continue being treated as a member state of the EU. It will, however, lose any say it had in making EU laws and regulations. The good news is that this weird arrangement is only temporary, lasting only until “31 December 20XX,” according to the agreement. The last two digits have yet to be decided, but we are assured that Britain will definitely, actually be completely, truly out of the EU before 2100! This 585-page document is not that simple. In theory, the deal secures a “transition period”—time for both sides to work out the more complicated aspects of the divorce before going their separate ways. However, if no agreement is in place by the end of an indefinite transition period, the “backstop” kicks in. Britain is subject to a set of conditions that it cannot get out from without the EU’s permission. The UK could spend decades having its regulations and whole sections of its laws simply handed down from Brussels. So yes, all of this temporary—but only in that the UK will be locked into all these conditions until the EU says it can move on. To put it mildly, this does not put Britain in the strongest of negotiating positions. The deal locks Northern Ireland forever under EU legislation. Sales tax levels would be set by Brussels. And with London having no seat at the table, the only way Northern Ireland could get any of this change would be to get the Republic of Ireland to speak on its behalf. One of the most dangerous parts of this deal is that when the UK and EU disagree on its terms, the conflict will be decided by the European Court of Justice (ecj).This sounds like a mere technicality. It’s not. This is like letting a player from the rival soccer team act as referee. Except (hard as this may be for some to accept) the future of the UK is more important than soccer. And the other team is the Italian mafia. Its judicial track record is … less than fair. To alter the metaphor, the ecj isn’t your far-left judge who somehow finds a right to homosexual “marriage” buried in the United States Constitution. It’s more like a judge who somehow decides that Americans must obey the legal code of Napoleon. The Lisbon Treaty, which came into force in 2009, contained a “Charter of Fundamental Rights of the European Union.” Concerned that these laws would allow the ecj to override British law, the UK government secured an opt-out. “It is absolutely clear that we have an opt-out,” then Prime Minister Tony Blair told the House of Commons in 2007. In 2013, the ecj swept that opt-out away, thus awarding itself huge power over the UK. There is a lot of ambiguity in the 585-page Brexit deal. Theresa May claims it says one thing. Legal experts claim it could be a whole range of different things. But the adjudicator handing down the final decisions will be the ecj, which will continue to rule in favor of the EU. This is just the beginning of the downside of this deal. The Spectator put together a list of “40 horrors lurking in the small print of Theresa May’s Brexit deal” (rebutted by the government, followed by a counter-rebuttal by the Spectator). And who knows what new conditions the ecj will be able to conjure out of thin air. The same people who routinely lambast Donald Trump for putting “America first” are acting very aggressively against the UK. Poppycock. Germany’s not interested in working together with the UK so we can all benefit. Nord Stream II, anyone? European nations are pushing their own interests more aggressively, if more quietly, than the United States. That is the way international relations always works. That is the way human beings work. Either the UK was too foolish to realize this, or too weak or inept at negotiation to get a better outcome. Perhaps we’re now so weak and the EU so strong that this genuinely is the best deal possible. Whatever the truth, we are now in a bad position. This understanding is key. Once it is understood that Britain and America descended from biblical Israel, it becomes clear why joining the EU is such a disaster for Britain. God promised great prosperity to these modern descendants of Israel. These blessings are found in Leviticus 26 and Deuteronomy 28. But so are the curses that would fall on our nations if we disobeyed God. One of these is persecution by foreign nations. “Therefore shalt thou serve thine enemies,” God says in Deuteronomy 28:48. This enemy “shall put a yoke of iron upon thy neck, until he have destroyed thee.” Now we see Britain’s former foreign minister warning that “we are bowing our neck to the yoke.” Is this the start of the fulfillment of Deuteronomy 28:48? It may not be—Britain may escape the yoke for now. But it certainly shows Europe’s intent to put a yoke on us. Other prophecies reveal exactly which foreign nations God will use to punish Britain and America. Revelation 17 describes a union of 10 kings. Daniel refers to it as “the king of the north.” Further study of these scriptures shows this power will be a continuation of the Roman Empire and the subsequent resurrections in Europe. Where do we see a union of nations so connected with this Roman Empire that they signed their founding treaty in Rome? This is why Herbert Armstrong forecast the Common Market would grow into this superpower. This power is discussed in many more scriptures—and there is much more proof available to identify them. In joining the EU, the UK shackled itself to the power God is raising up to punish it! No wonder the country is finding it hard to unshackle itself. Mr. Armstrong warned that joining the European Community would be “fraught with ominous potentialities.” We’re still discovering that as we leave. This is why Europe’s Brexit attack contains a powerful warning for the U.S. and the whole world. God is raising this power up to punish not just Britain, but also the U.S. The Bible forecasts that its destruction will spread even wider. When you’re not subject to Europe’s attacks, it’s easy to dismiss them as a bunch of weaklings. This is especially true because there is a lot of weakness within the EU right now. It lacks a strong leader. Its economic union is half-baked and prone to disaster. There is not yet any kind of powerful European army. The mighty empire of Bible prophecy is not yet fully formed—though all the ingredients are present. But when you see what the EU does when it has the power, it sounds a warning of its intent. The Brexit deal is just a taste of what this power would love to do to the U.S. You hear it almost every time an EU leader opens his or her mouth these days. You see it as the EU constantly attacks America’s huge and influential tech companies. You see it in the way its leaders constantly fight America’s foreign-policy moves, even siding with Iran over America. You saw it in the climate-change deal the EU and then President Barak Obama agreed to—a deal designed to cripple American industry. “Do you think so great a fall could not come to so great powers as Britain and America?” Mr. Armstrong asks in his book The United States and Britain in Prophecy. “Do you say, ‘It can’t happen here?’ Do you think the great God who was able to give [Britain and America] such unprecedented world leadership and power and wealth is not able to take it away from them and throw them, like their ancient forefathers, back into slavery? “You need to open your eyes to the fact that Britain’s sun already has set! You need to wake up to the fact that the United States, even still possessing unmatched power, is afraid—fears—to use it, just as God said: ‘I will break the pride of your power;’ that the United States has stopped winning wars—that America was unable, with all its vast power, to conquer little North Vietnam! The United States is fast riding to the greatest fall that ever befell any nation! This warning is all the more true today. To understand why God is right now raising up a power to punish Britain and America, read that free book, The United States and Britain in Prophecy. It shows why God used Israel, both anciently and today. It will help you prove that Britain and America really are descended from ancient Israel. It will show you how to escape the punishment He is preparing against our nations. And it will show you the glorious, positive, hope-filled outcome of this intense time of trial.